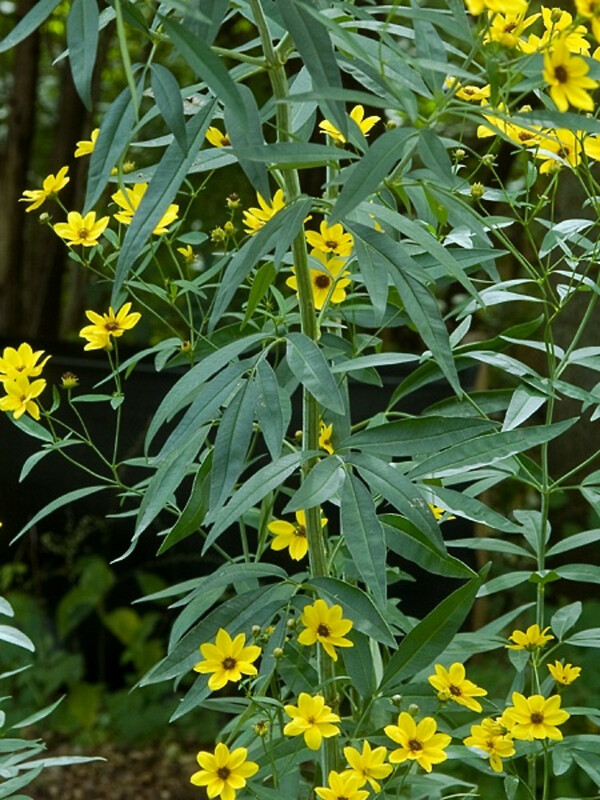 Tall tickseed, as the name suggests, is a tall plant that can reach 8 feet or more in height. 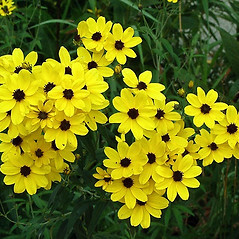 Outside of its native range in New England, it has been found in Connecticut and Massachusetts. 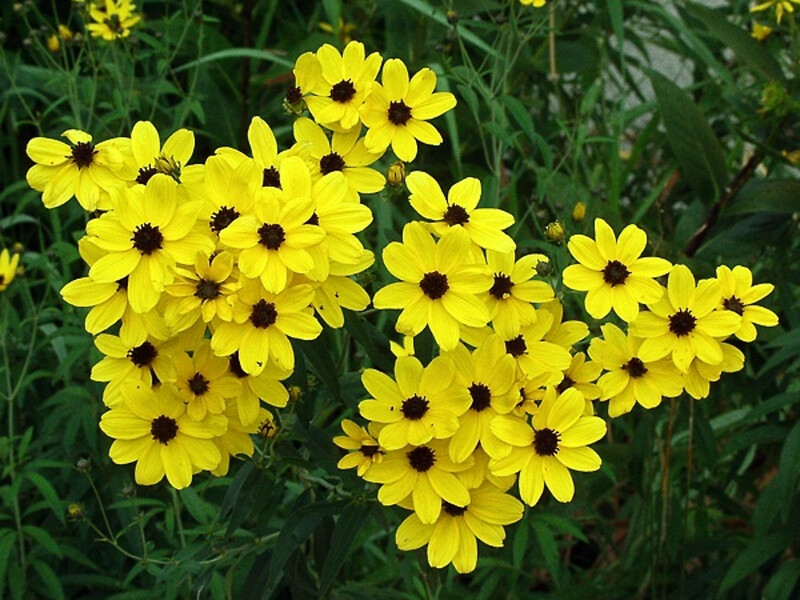 The Meskwaki drank a tea of the stems to treat internal bleeding. leaf blades sessile, though appearing to be borne on a broadly winged petiole of +/- similar width to the lateral lobes, outer involucral bracts 6-10 mm long, subequal in length to the inner bracts, and reproductive stems 0.3-1 m tall (vs. C. tripteris, with leaf blades borne on evident, narrow petioles that are clearly much narrower than the associated leaf lobes, outer involucral bracts 2-3 mm long, approximately 1/3 to 1/2 as long as the inner bracts, and reproductive stems 1-3 m tall). 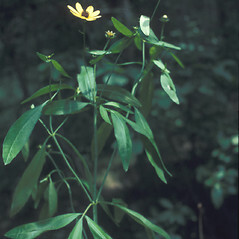 tall tickseed. 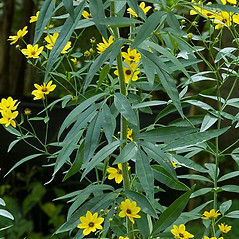 Coreopsis tripteris L. var. smithii Sherff; C. tripteris L. var. subrhomboidea Sherff • CT, MA. Fields, roadsides, clearings. 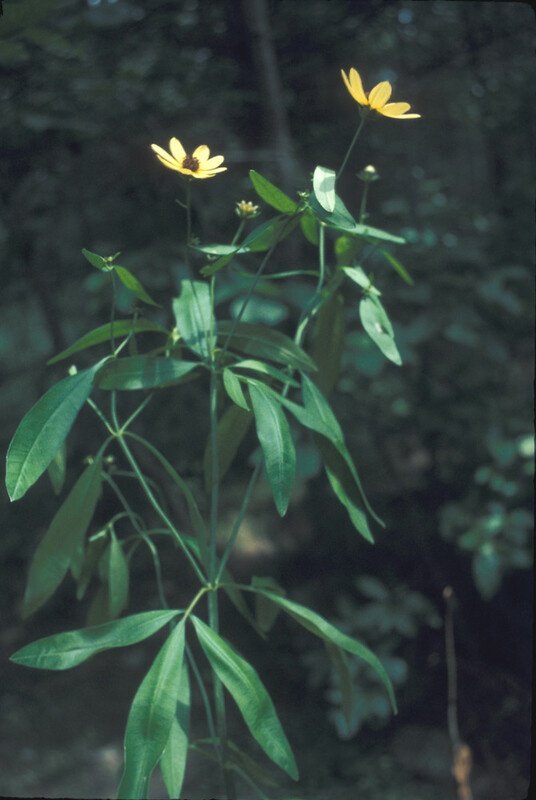 This species was reported from RI by Kartesz (1999), based on George (1992); however, George (1999) stated this species had questionable naturalization in RI.